3rd quarter of the 1st century BCE. 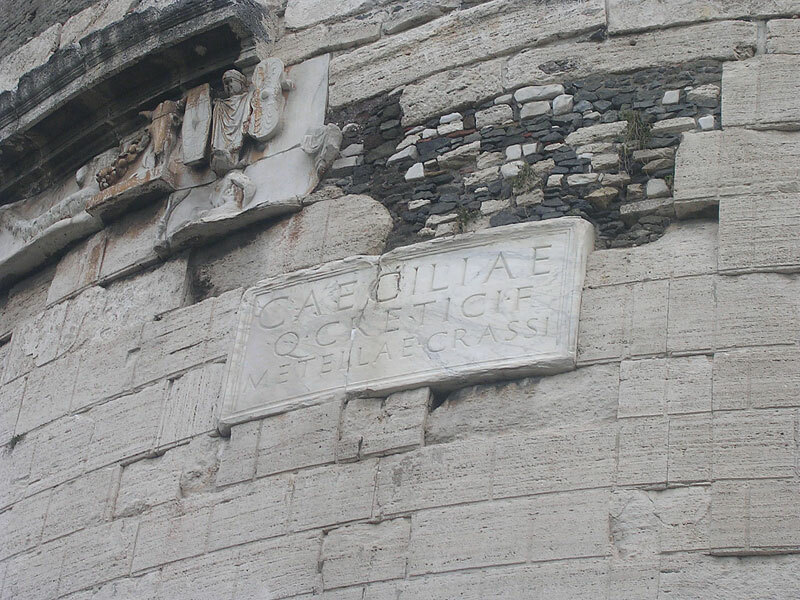 Funerary inscription of Caecilia Metella. CIL. VI. 1274 = CIL. VI. 31584 = ILS. 881. Caeciliae / Q(uinti) Cretici f(iliae) / Metellae Crassi. To Caecilia Metella, the daughter of Quintus Creticus, the wife of Crassus.